Your Child's Orthodontic Consultation | Huntington Beach, CA | Dimitri Bizoumis, DDS, Inc.
During your child’s dental appointment, Dr. Dimitri Bizoumis may schedule a complimentary consultation with our orthodontist, Dr. Fouy Chow. For children, it is especially important to perform thorough examinations in order to provide accurate preventive care. This is why we house an onsite orthodontist who can begin providing the best smile for your child at an early age. Knowing whether your child needs orthodontic treatment can give you peace of mind and help keep your child healthy in the long run. 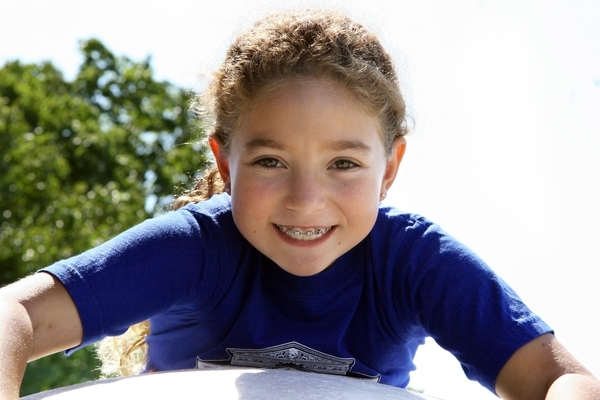 An orthodontist can get to know your child, their mouths, and perform the best treatment for their specific case. Your child’s orthodontist can help you determine the most beneficial solution for your child’s teeth and explain each practice and treatments in an understandable manner for you and in an enjoyable manner for your child. You may also discuss any insurance, finance, or payment plans during a consultation with your orthodontist. Our onsite specialist, Dr. Chow, performs each orthodontic examination and consults one-on-one with children and their parents. By the age of seven, children should begin receiving regular pediatric dental care, and Dr. Chow can perform thorough check-ups that address current concerns, as well as dental issues that may arise in the future. During your child’s consultation, Dr. Chow will perform a dental examination and take x-rays. If there are urgent dental concerns, such as a cross-bite, severe spacing, or misaligned front teeth, Dr. Chow will implement an immediate treatment plan. We strive to educate our patients about the dental issues we see and create treatment plans that are preventive and keep children healthy as they grow older. Dr. Fouy Chow is certified by the American Association of Orthodontists and is dedicated to your child’s healthy and beautiful smile. For more information about orthodontic treatment in Huntington Beach or to schedule an appointment with us, contact Dimitri Bizoumis, DDS today!